The small base rack respects the size and shape of the bike. This allows filling the gas tank without removal and with ease. Due of variety of holes you can put on any small tail bag with first aid, spare tubes, basic tools or whatever you need. The dural rack is light, but reinforced with the bent and welding, making it very sturdy. 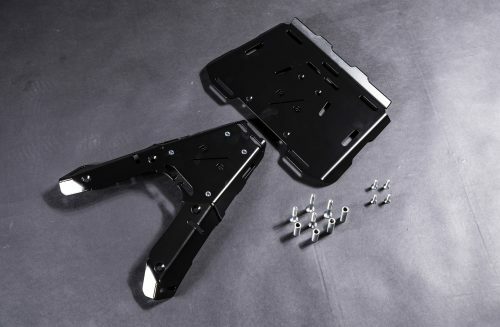 In the rack set is also included the extension plate. It can be quickly mounted with four bolts to the base rack and so you can fit even bigger roll bag for your weekend trips. The luggage rack base has two practical features. On the right side is grip space that makes it easy to hold the bike and move it around. Also small hook for your helmet is integrated into the base rack. 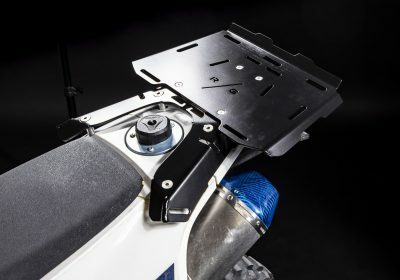 How does Husqvarna 701 luggage rack works? 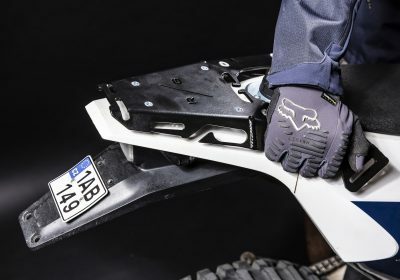 What is included in the Husqvarna 701 luggage rack set? Simply swap the hand grips with the base rack and you are done in 15 minutes or less. 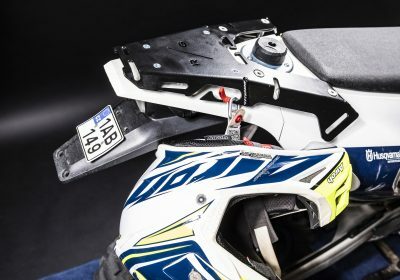 Adding or removing the extension plate takes just a few minutes. If your bike did not come with hand grips installed, follow the simple steps in the install guide below.